We are Freddy Guys — Barb, Fritz, and our children Toby, Jocie and Evan. 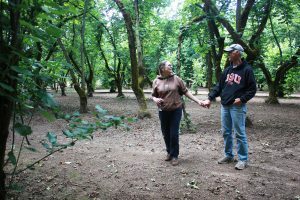 We purchased our 60 acre hazelnut orchard in 1998, initiating a move from the cowboy country of Eastern Washington where we’d spent the last 12 years, to the orchard located in the Willamette Valley of Western Oregon. We had no prior nut farming experience but we had always lived close to the land. We’ve always been a little nutty, and “hazelnut farmers” was a title that just seemed to fit. As fresh farmers, we were lucky to have support from our extended family while learning the nut farming process. Uncle Ray, an experienced farmer, helped us through our first harvest. This kind of family support continues today. 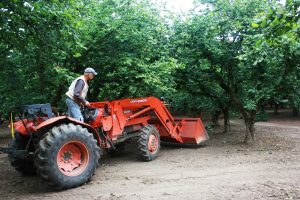 Grandpa Newton is an occasional tractor driver, Grandpa Foulke helps prune, and both grandmothers provide food during the madness of the annual hazelnut harvest. 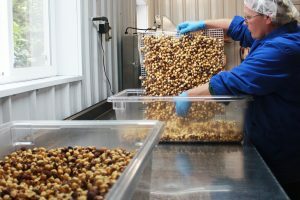 By packaging our hazelnuts ourselves and selling them directly to consumers, we eliminate the middle man in the process of getting the nuts from the orchard to your fork. This results in both a better price for the consumer and a better share of the profit for the farmer, not to mention freshness and flavor that is unmatched. 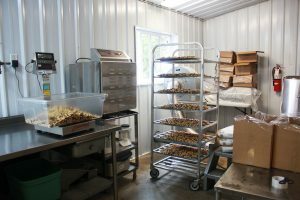 We distribute our hazelnuts directly to businesses throughout Oregon, through our online store and at farmer’s markets in Portland. 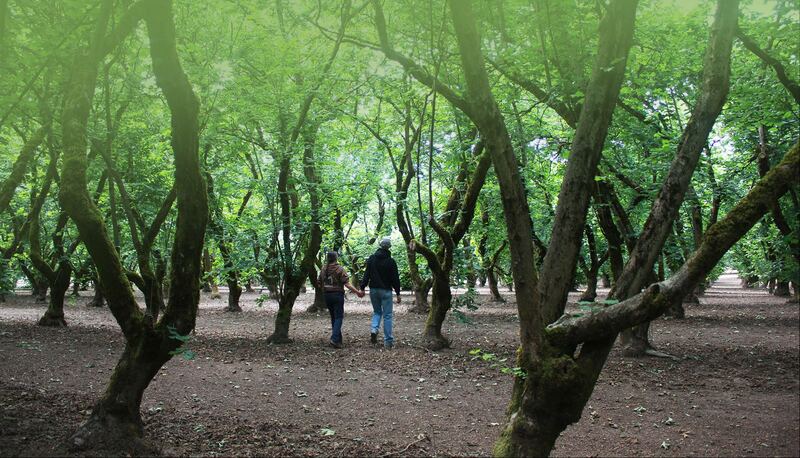 Our orchard is managed according to integrated production guidelines developed at Oregon State University. We consult with a horticultural extension agent and conscientiously practice earth-friendly farming. 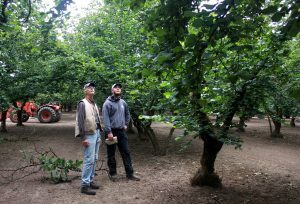 Bringing you the best quality hazelnuts is a long process, and it begins with a careful inspection of the crop to ensure only the best quality nuts are sent to our customers. While our nuts are delicious raw, they take on a whole other earthy quality when roasted! Our specialized roaster, imported from Italy, toasts small batches of hazelnuts. The roaster applies dry heat to the hazelnuts while constantly moving them to make sure the nuts are evenly toasted. The roasting process is complex and must be carefully monitored to ensure top quality. No other ingredients are added to our hazelnuts during roasting. After roasting, we inspect the nuts one last time to ensure perfection. Since we roast twice each week, your hazelnuts will reach you one to three days after roasting. When you order from our farm you are guaranteed quality and freshness. Each order is hand packed by us. To ensure your nuts stay fresh as long as possible, please store them in your refrigerator as you are using or eating them. 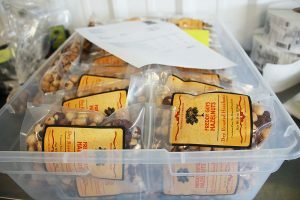 Hazelnuts do not like heat or humidity and both can be controlled for by refrigerating your hazelnuts as well as keeping them sealed tight in the zip-top bags they came in! Also, our hazelnuts freeze beautifully and will stay fresh for over a year in the freezer as long as they are double-bagged and tightly sealed.